The Outpost specializes in guns, ammunition, reloading supplies and equipment, outdoor gear, hunting supplies, trapping supplies, fishing supplies, apparel, scopes, and optics. Our knowledgeable Outpost Team Members can get you outfitted for your next adventure. Whether it’s for a once in a lifetime hunting trip to Alaska or Montana, or just a local looking to stock up on ammunition, we have what you need. If not, we can special order firearms and ammunition. We offer a huge line of guns from brands like: Browning, Kimber, Glock, Springfield Armory, Cooper Firearms, Sig Sauer, Hi Point, Ruger, Mossberg, Remington, Smith & Wesson, Rock Island Armory, & SCCY. We also have a huge selection of ammunition and reloading equipment like: Barnes, Hornady, Federal Premium, CCI, Blazer, RCBS, Hodgdon, and Caldwell. 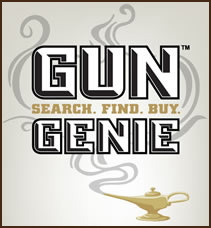 Optic brands in stock: Vortex, Sig Sauer, Bushnell, Sightmark, Redfield, Leupold, and NcStar. Three Bears Alaska Outpost is an authorized dealer of Vortex Optics, we honor the no questions asked V.I.P. warranty through Vortex. We are now offering Styrka Brand line of optics. These optics are great and the price is right, stop by and check out the new line of optics by Styrka. Check out the full line here. Save big on our full line of fishing and camping gear with brands like: Coleman, W.F.S., Coghlan’s, Shakespeare, Uglystik, Berkley, Rocky, Mountain House, Wise, Lewis & Clark, Caddis Waders, and much more! We also sell hunting and fishing licenses. 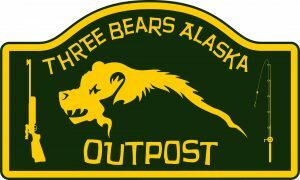 The Three Bears Outposts are located inside of our warehouse store locations with the exception of the Tok Outpost. All Three Bears Outposts offer special ordering of firearms, ammo, and reloading supplies. Please check with your nearest Outpost location for an even broader selection of special order products. The Gallery of Guns lets you search and buy firearms on-line and have it shipped to one of our Three Bears Alaska Outpost locations for you to pick up. The price of the firearms on the Gallery of Guns website do not reflect and are not the same as firearms in stock at our Three Bears Alaska Outpost locations.